Christ Church Episcopal - Riverdale (Bronx), N.Y.
Christ Church (Episcopal) was established in 1866 in the suburban community of Riverdale. The High Victorian Gothic stone building, erected in 1865-66, was designed by Richard M. Upjohn, son of Richard Upjohn, as an English rural parish church. 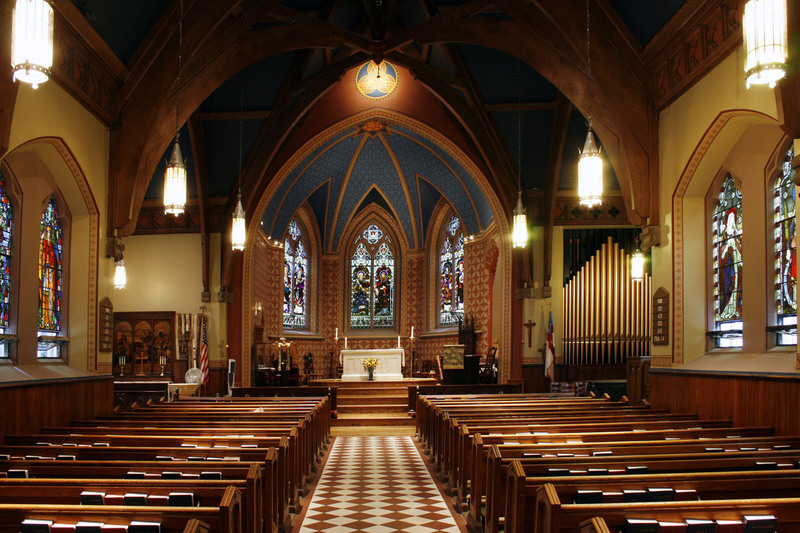 In 1967, Christ Church was designated a landmark by the New York City Landmarks Preservation Commission, and in 1983 the church was added to the National Register of Historic Places. 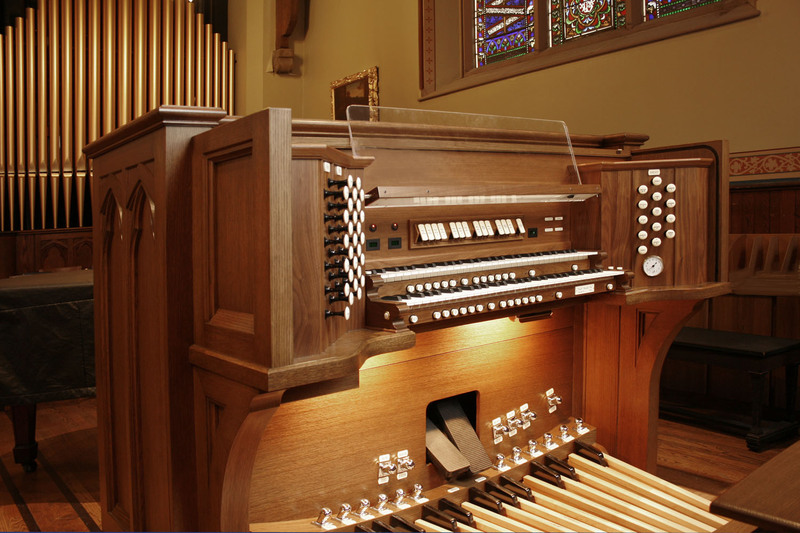 In 2010, Foley-Baker, Inc. of Tolland, Conn., completed the rebuilding of the previous Austin organ. 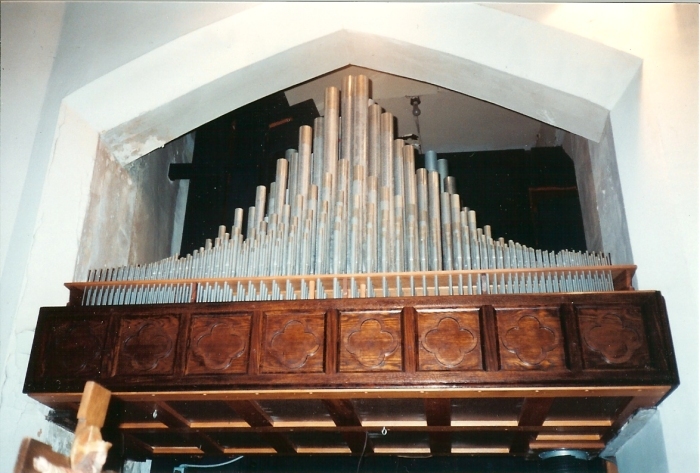 Twenty-one new ranks of pipes were added to eleven ranks from the old organ that were retained and revoiced for the new tonal design. Foley-Baker installed new electro-pneumatic slider windchests for the Great and Swell divisions and new electro-pneumatic unit chests for the Pedal stops. The two chamber openings have new façades of speaking display pipes comprised of notes 1-17 of the Great 8' Principal (transept) and notes 1-17 of the Pedal 8' Principal (chancel). Foley-Baker also provided a new movable, two-manual drawknob console of walnut with a mahogany interior. The manual keyboards have tracker touch. Todd Wilson played the inaugural concert on Saturday, September 25, 2010, and the organ was formally dedicated the following afternoon with Bishop Roskam presiding. 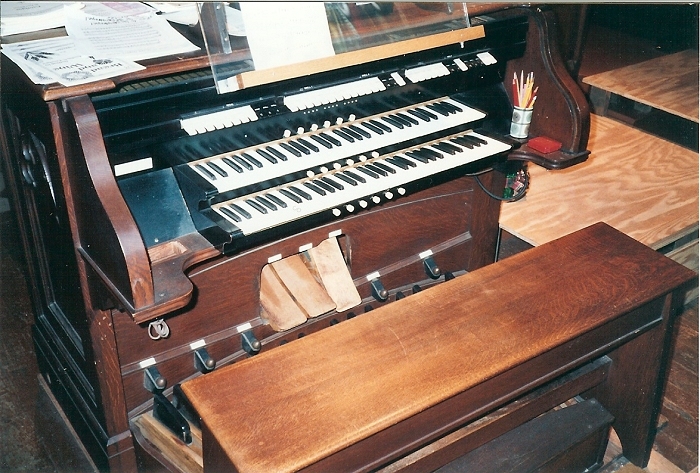 In 1968, Austin Organs Inc. was contracted to tonally rebuild the existing 1928 Austin organ. The Factory Specifications (May 22, 1968) show that Austin would reuse and revoice some pipework from the old organ and provide an entirely new Great division on a new exposed cantilevered chest. Austin planned to combine the old enclosed Great division with the Swell Organ, retaining the separate shades and motors. However, an Addendum to the contract (July 2, 1969) indicated a design change where the old enclosed Great would instead become the Swell I Organ, and the old enclosed Swell would become the Swell II Organ, allowing more flexibility with couplers. Austin overhauled the old console in the church but returned the combination action to the factory for rebuilding. The work was completed in 1970. Austin added two prepared-for stops, the Great 4' Nachthorn and the Swell I Sesquialtera II in 1978. 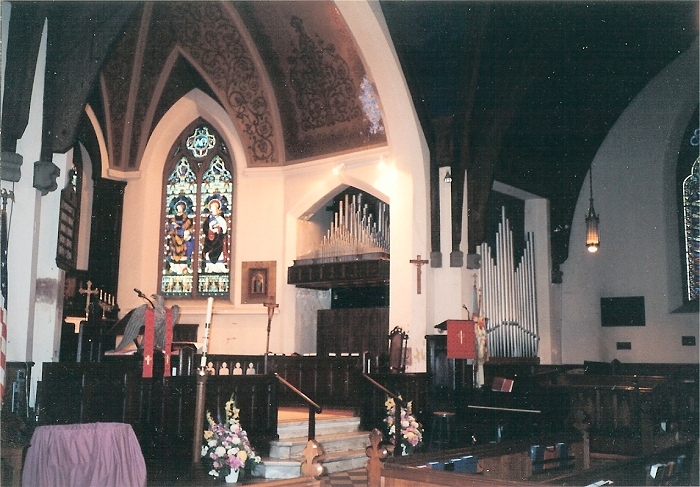 In February 2007, the organ became unplayable due to a compromised and inaccessible reservoir. ** Swell I to Great and Swell II to Great couplers act as unison offs for their respective ranks, permitting the organist to solo and accompany with voices under expression. The Swell to Great couplers affect both Swell I and Swell II divisions. 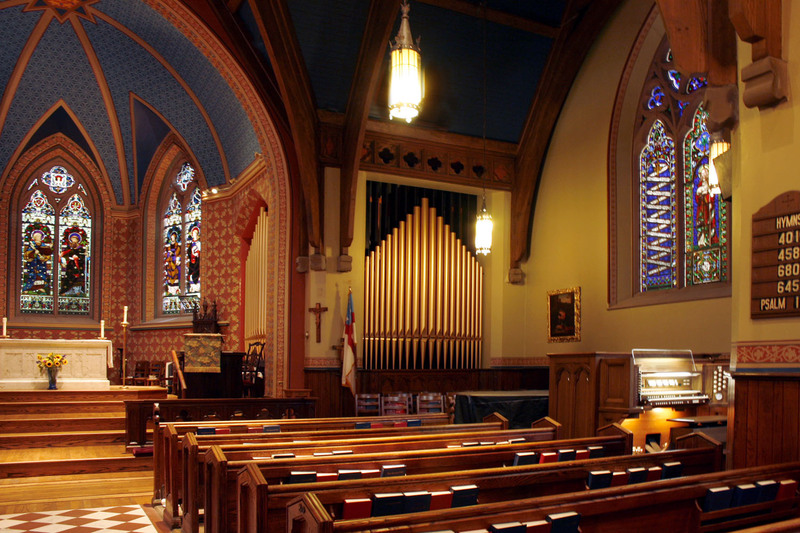 The first known pipe organ in Christ Church was installed in 1928 by the Austin Organ Company. Pipes were located in a chamber at the right side of the chancel. Christ Church Riverdale. Factory Specification of Austin Organ, Op. 1621 (1928) and Op. 1621-A (1968). Courtesy Rev. Robert C. Lamborn. Christ Church Riverdale. Factory Specification of Foley-Baker, Inc. organ (2010). Courtesy Rev. Robert C. Lamborn. Dolkart, Andrew S. and Matthew A. Postal. Guide to New York City Landmarks (Third Edition). New York City Landmarks Preservation Commission. Hoboken: John Wiley & Sons, Inc. 2004. Ochse, Orpha. Austin Organs. Richmond: The Organ Historical Society, 2001. AJWB Collection. Photos of Austin organ, Op. 1621-A (1970). Lawson, Steven E. Foley-Baker organ (2010); interior.